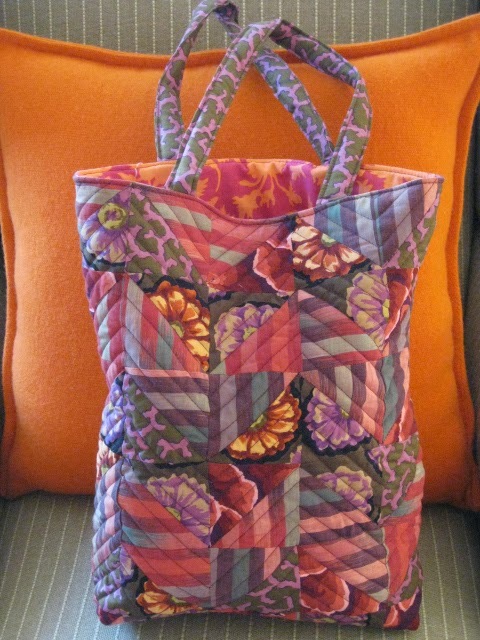 Here is my Zig zag bag finished early this morning. Je découvre, il est superbe. Merci Christine, tu en as fait aussi de tres jolis! Fabulous, I love this bag! I love your choice of fabric, and the quilting looks great. How pretty! Love the combination of the stripes and florals. A perfect spring bag! Correction for link to pin. 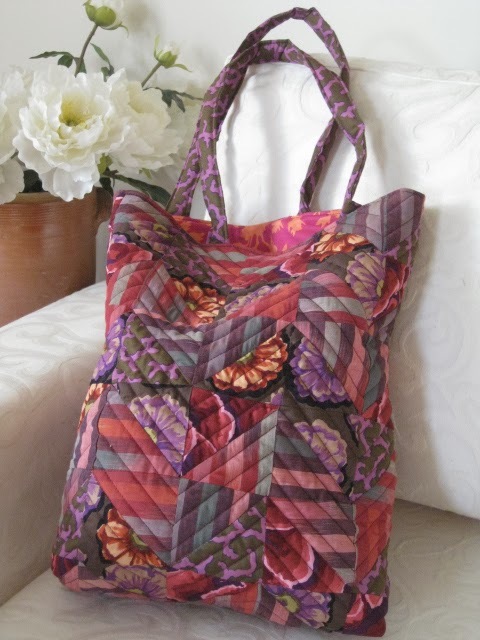 Beautiful bag and those fabrics......wow!! Thanks for sharing. Love the bag, glad I found you on the Link up! Very pretty bag, Christine. It's a lovely mix of florals and stripes!